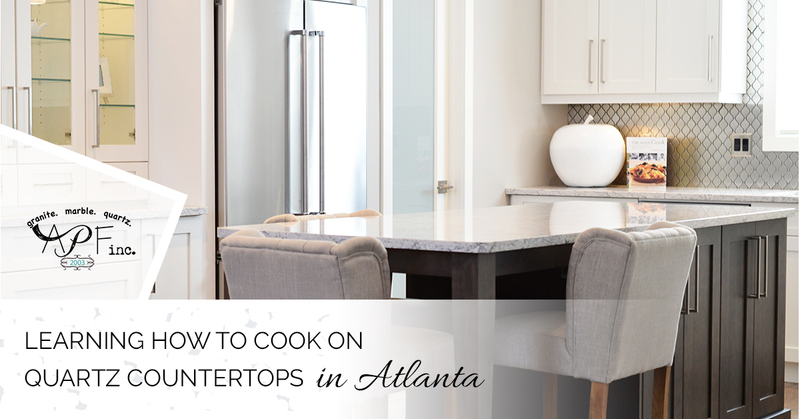 You recently had the outdated countertops in your kitchen replaced by modern quartz countertops from A Polished Finish in Atlanta. Your kitchen looks absolutely amazing. In fact, it has inspired you to learn how to cook. But the problem is that you didn’t know the first thing about cooking anything. You have a difficult time toasting bread with having that turn into a disaster. If you are just getting started in the kitchen, you might feel a bit overwhelmed and intimidated. What you need to realize is that cooking is just like everything else; the more you practice, the better you will get. Get to know your way around the kitchen and learn the skills of a cook and before you know it, you will be whipping up baked enchiladas that people are willing to pay for. But that won’t happen until you gain some kitchen skills. Here are a few skills you need to know before you can go all Rachael Ray or Guy Fieri on your family. That’s right, you need to start with the basics. While a recipe might be pretty straightforward and easy to follow, there are mistakes that can be made. The first mistake is to start the recipe before reading through all of it. And we don’t mean read the recipe five minutes before you decide you want to cook something. You have a pork recipe you want to make, but it requires three hours of braising. Good luck getting dinner served before 10 pm if you just took a look at the recipe at 6:30. There are six basic ways to prepare an egg: poached, fried, baked, boiled, omelet and scrambled. Scrambled is the simplest way to prepare eggs and a way that allows you to be creative with your dish. To make scrambled eggs, you crack eggs into a bowl and whisk them up all airy and frothy and then cook them slowly with melted butter. Get creative by scrambling them with cheese, diced bell peppers or fresh herbs and meats. There are three things you need to remember when cooking pasta including the need to salt the water, stir the noodles and drain the water at the correct time. Salting the water flavors your pasta, stirring your pasta ensure they don’t stick together and cook evenly and don’t drain the pasta until it is al dente, not too hard or too soft. Anybody can run to the store and buy a jar of tomato sauce; this does not make you a skilled cook. You will want to start off learning a basic tomato sauce, one with a few ingredients like onions and spices. Then you can move on to more complicated and detailed sauces that you can cover your pasta with. The onion is the cornerstone of many fines dishes, so learning how to chop an onion efficiently is essential to honing your cooking skills. Find a video on YouTube that shows you how to chop an onion and practice until you perfect it. Once this is mastered, broaden your knife skills until you get to the point that you can handle a knife with confidence. Bread is a staple and there is nothing that tastes better than a fresh loaf straight from the oven. If you have spent your life slapping your deli meats between two slices of Wonder Bread, you have been missing out. Mixing water and flour is easy enough, but then you need to pummel it a bit to activate the gluten. You start by sprinkling a little flour over a hard, flat surface and knock back the dough using your fists. Use the heal of one hand and push the dough down and forward, squishing it along the way. You then fold the dough in half and repeat the process. Garlic is essential in many recipes and learning how to crush it with a knife will make your recipes taste fresher and will give you the opportunity to show off your skills. If you want to learn how to cook, you should do so in an updated kitchen. This means new countertops should be installed. Contact A Polished Finish to get started.